Aurora Woman Challenges CO’s Foreclosure Laws in Federal Court - Castle Rock Bankruptcy Attorney - Jon B. Clarke, P.C. An Aurora woman who has been fighting efforts to foreclose on her home has taken her case to a federal judge in an unprecedented effort to challenge Colorado’s foreclosure laws. An Aurora woman who has been fighting U.S. Bank’s efforts to foreclose on her home has taken her case to a federal judge in an unprecedented effort to challenge Colorado’s foreclosure laws. The woman will have until May 15 to provide a federal judge with evidence regarding how Colorado’s current foreclosure laws violate the U.S. Constitution, and her case – which has gone farther than any case presented by lawyers to date – could fundamentally change how banks are able to foreclose on homes within the state. 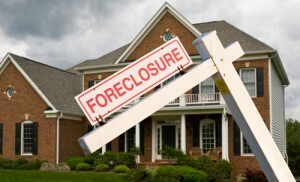 The specific issue that this case rests on is the fact that, under current Colorado foreclosure laws, lawyers can go before the courts to swear that their client (i.e., a bank or another lender) is the entity that owns the mortgage on the house in question (i.e., is the qualified holder), that the debtor in question is in default of the mortgage and that the bank, therefore, has the right to foreclose on the property. In this process, lawyers do not have to present any specific evidence of the bank being the qualified holder, which many critics find has grossly damaged homeowners’ rights in the foreclosure process. In Colorado and many other states, evidence of which bank is the qualified holder of the mortgage title is typically tracked through the Mortgage Electronic Registry System (MERS), which does not have public records documenting these mortgage transfers. With banks regularly selling mortgages to each other, it can be confusing to know which bank currently holds a specific mortgage for a homeowner’s house (in this case, the Aurora woman had been unaware that U.S. Bank was allegedly the currently qualified holder of her home’s title). Making matters more complicated is the fact that, with the recent mortgage crisis and economic meltdown, the tracking system for which banks owned which mortgages has become even more clouded, further trampling on the transparency of the system much to the detriment of homeowners, critics argue. As May 15 fast approaches, many will be focused on what evidence the Aurora woman provides to the federal judge and, ultimately, how the judge rules in this case. His ruling could not only impact Colorado’s foreclosure laws and processes but also set a precedent for the federal court to step in with other foreclosure cases at issue in other states.